Lip Primer is the secret weapon of every beauty pro. Pro Lip Primer enhances lipstick wear and makes lips appear fuller and more sensuous, thanks to our exclusive peptide plumping complex. Use Pro Lip Primer to extend the wear of your lipstick. Soften your lips while slightly neutralizing lip tone so that lipstick shows up more true to color. Contains antioxidant to protect lips from environmental stresses. net wt. 2.0 oz. Use PRO Lip Primer to extend the wear of your lipstick. 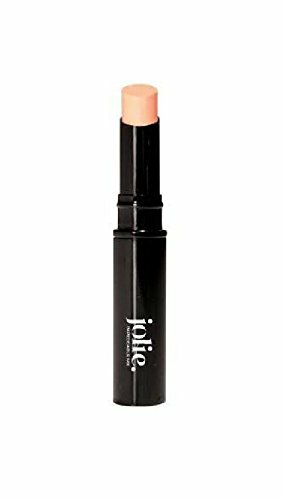 Soften your lips while slightly neutralizing lip tone so that lipstick shows up more true to color. Makes lips appear fuller and more sensuous, thanks to it's exclusive peptide plumping complex. Super anti-oxidants and SPF 15 combine to shield lips from sun damage, dehydration and environmental stress. If you have any questions about this product by Jolie, contact us by completing and submitting the form below. If you are looking for a specif part number, please include it with your message.